Founded in 2008, Agriberry Fruit Farm is owned and operated by the Geyer family–Anne and Chuck Geyer, and their adult children, Pierson and Colleen Geyer. 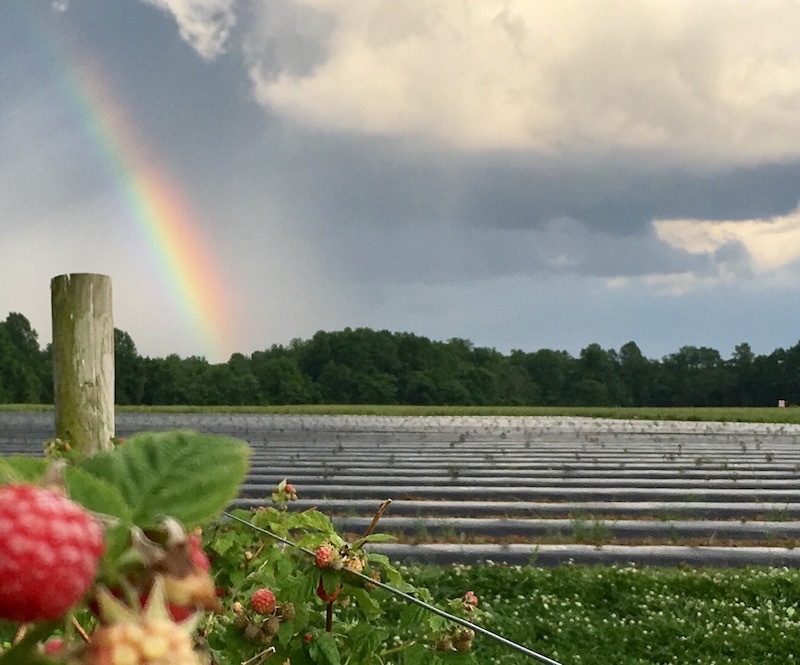 The Geyers grow fruit, including raspberries, blackberries, blueberries, cherries, peaches, nectarines, plums and apples on 25 acres of land in Hanover, Virginia, about 30 minutes northeast of Richmond. The Geyers grow their strawberries on land in Mosley, Virginia, which is south of Richmond in Chesterfield County. The fruit farm is open by appointment, and does not offer “pick-your-own,” except in conjunction with special Open Farm events during the harvest season. Join our mailing list below to learn more about these fruit farm visit days. The family is deeply grateful for the support of their loyal customers and the USDA grant programs that helped them start this fruit farm. In addition to participating in area farmer’s markets and working with select specialty retailers, the farm offers the only fruit-oriented CSA (Community Supported Agriculture) or Weekly Fruit Box program available in the greater Richmond area, as well as Virginia’s Northern Neck and the greater Annapolis, Maryland area. Agriberry Farm proudly employs dozens of young and first-time area students in its Harvest Team each season. As career farmers, the Geyers work to protect their land, raise nutritious food, craft nourishing relationships with other farm families and educate young workers about the value of agriculture. As business owners, they work to support the emerging local food systems and markets, and create local job opportunities, especially for first-time young workers. As parents, Anne and Chuck are proud to create a home and business on the land, building a legacy of opportunity for their children. As community members, the Geyers work to increase local consumption of nutritious seasonal fruit. They support a wide variety of local food programs and charitable and educational programs each year. The Geyers operate a “full disclosure” farm, and they will happily provide information as to the source and supporting farm practices of the food they bring to market. While the source and variety of fruit varies each season, you can learn more about many of the long-time farm partners of Agriberry Farm. We are happy to share complete information about the source of any fruit we offer.